The new RSP-150 series is quite an improvement compared with the preceding SP-150 series. The RSP-150 series have the same length and width, but height is lower by 20mm (50mm→30mm) reducing total size by 40%. Efficiency has been improved by 3.5~9.5%. With the new 1U low profile, high efficiency, and natural (free air) convection cooling, RSP-150 series are "light industrial level," supplies for end users who require an economical, energy-saving power supply in a compact size. With state-of-the-art, high performance circuit topology, the RSP-150 series has full range input, is equipped with an active PFC function and is between 87.5% and 90% efficient for all outputs from 5V-48V. Shedding such a small amount (15-20 Watts under full load conditions) of operational heat is done with fan-less natural (free air) convection. 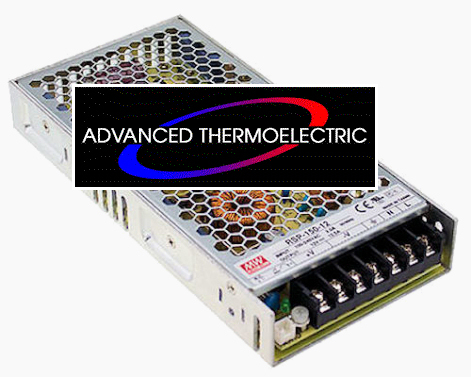 The working ambient temperature range is -30 ºC to +50 ºC for all seven models in the 12-48V output range. This group will also operate, with some de-rating, up to +70 ºC. (3.3V, 5V & 7.5V operate from -30 ºC to +40 ºC with de-rated output to +60 ºC. (See data sheets for specifics). Other built-in functions include remote ON/OFF control, short circuit, overload, over voltage, and over temperature protections. Users can make a (-5% ~ +10%) voltage adjustment on a small rheostat located at the left end of the terminal strip. All series comply with the ITE power supply requirements per UL, CUL, TUV, CCC, CB, and CE regulations and also have earned certificates for TUV EN61558-1 and EN61558-2-16, which allow for use in the European household appliance market. RSP-150 is also CCC approved (China Compulsory Certification). The RSP-150 Series is available in a wide range of additional output Voltages that include 3.3V, 7.5V, 13.5V, 15V, and 27 Volt. Contact us for price and lead-time for these. The RSP-150 Series is widely used and applications include general automation and control systems, mechanical and electrical equipment, instrumentation, household appliances or systems that require an economical but reasonably efficient 150 Watt supply with a 1U low profile. Cooling is silent, fan-less, natural convection.